Nick Grimshaw this morning revealed that Florence and The Machine will make their first UK festival appearance of 2015 to perform at Radio 1’s Big Weekend. 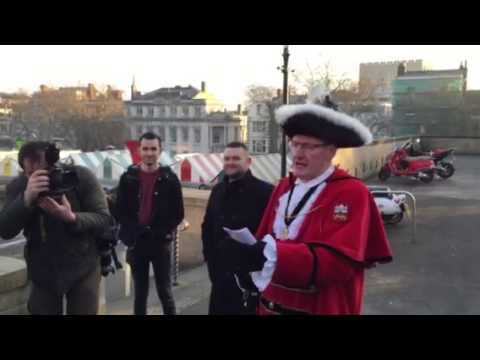 Yesterday the Big Weekend was announced as coming to Norwich in the most Norwich style possible... with town crier Bob Lloyd announcing it. Radio 1 have announced that this year's Big Weekend will be taking place in Glasgow during the weekend of 23rd to 25th May 2014. Flirt Divert – featuring what could potentially be Craig Philips off of Big Brother and Paul O’Grady.